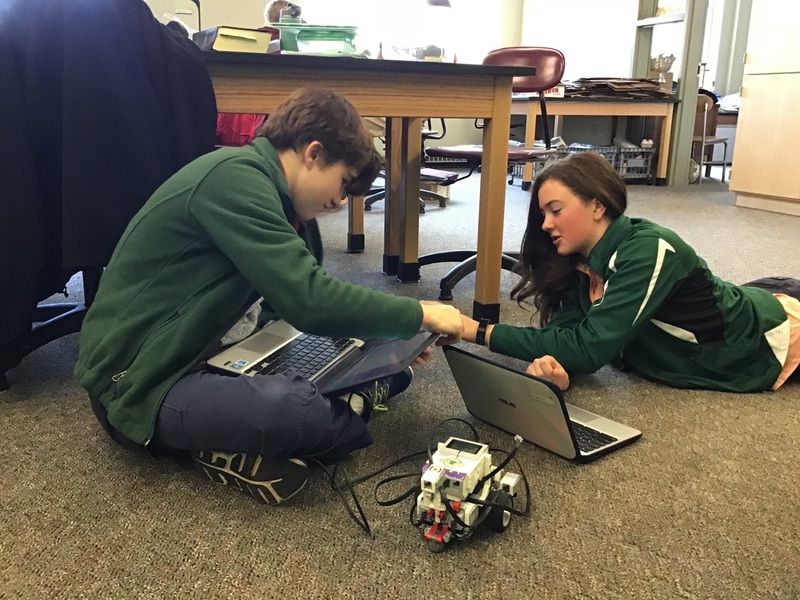 Grade 8 spent Quarter 2 building and programming Lego Mindstorms EV3 robots. With our fleet of robots -a puppy, a conveyor belt, a grabbing arm, and a boy- students began setting goals and programming their robots. Check out June’s video which includes an explanation of her programming and then the robot boy completing its programmed operation.